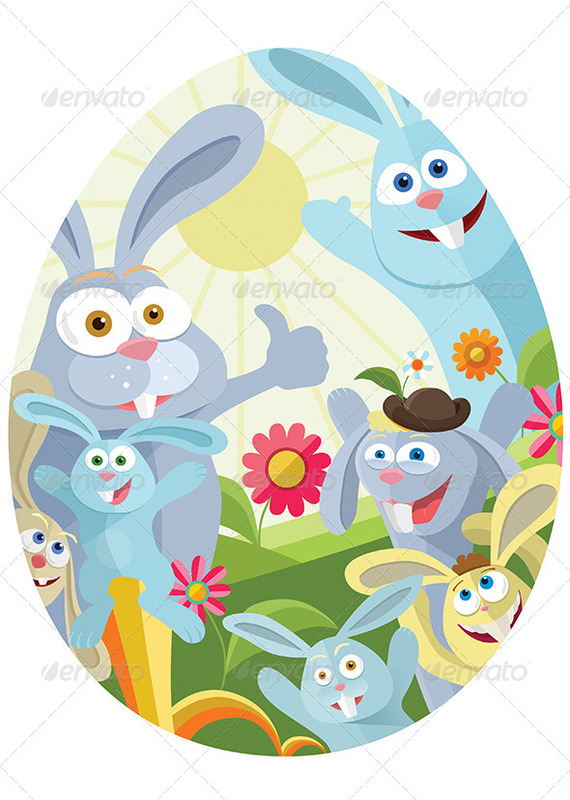 The illustration from this poster is colorful with funny Easter Bunny`s, flowers, sun, all in a Easter egg form. 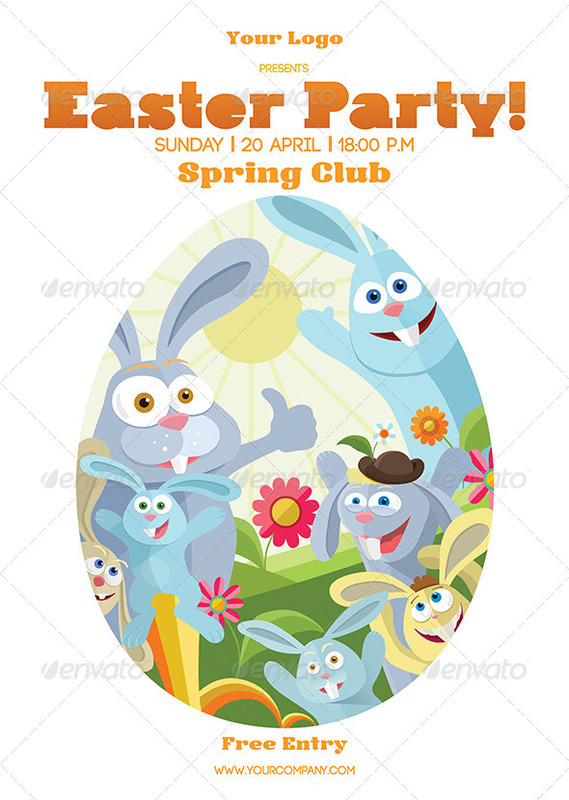 The PSD file is setup at A3 paper size, CMYK, 300 DPI, made with smart objects and free font. All text is editable. The PSD file is very well organised and easy to customize. You have a “Help file” were u can find links to the free fonts, and explanation about how u can customize the file.